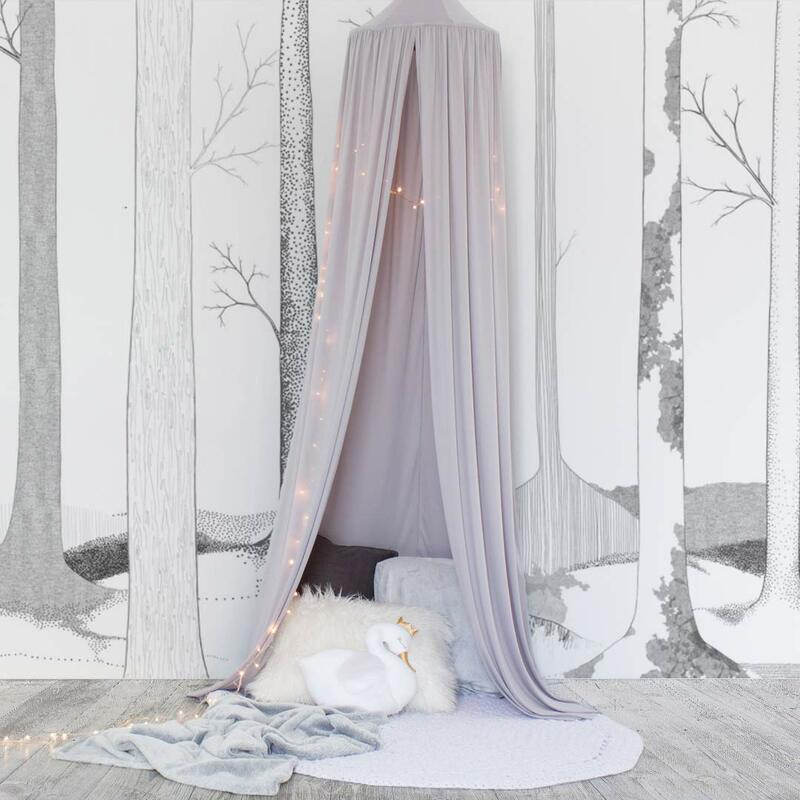 You can start by creating a beautiful, cozy nook for your kids by hanging a canopy tent over a bed or in a corner. Place a cute carpet and some scatters and hang a string of fairy lights to create a dedicated area to sleep, play, relax or read. We used one of our crochet rugs and added some blankets and scatters to our dove grey canopy tent. Adding a perspex cutout mirror to a kids room can instantly create a magical wonderworld. Especially if you paint the walls in a dreamy colour or texture first. 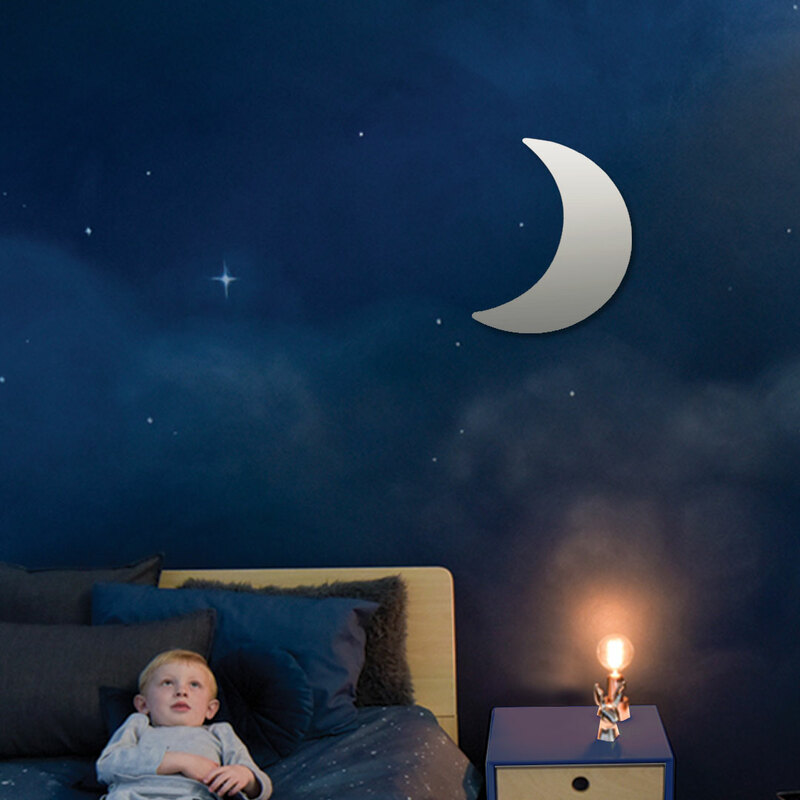 Here we used layers of blue, black and white paint to create a night sky filled with stars and a sparkly moon mirror. Choose from a variety of mirrors. Nothing adds ambience as quickly as a gorgeous and simple wall hanging. 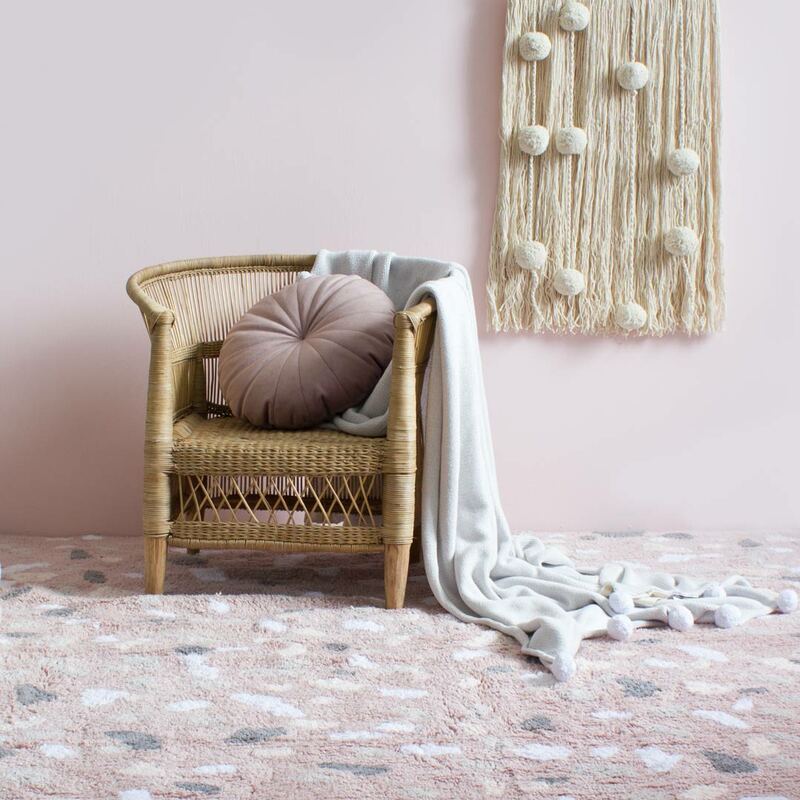 Even on a plain wall like in this setting where we have paired a pink wall, with our Terrazzo rug and Malawian Chair. Nothing is more affordable and easy than peeling and sticking colourful or monochromatic wall decals on a feature wall in your kids bedroom. 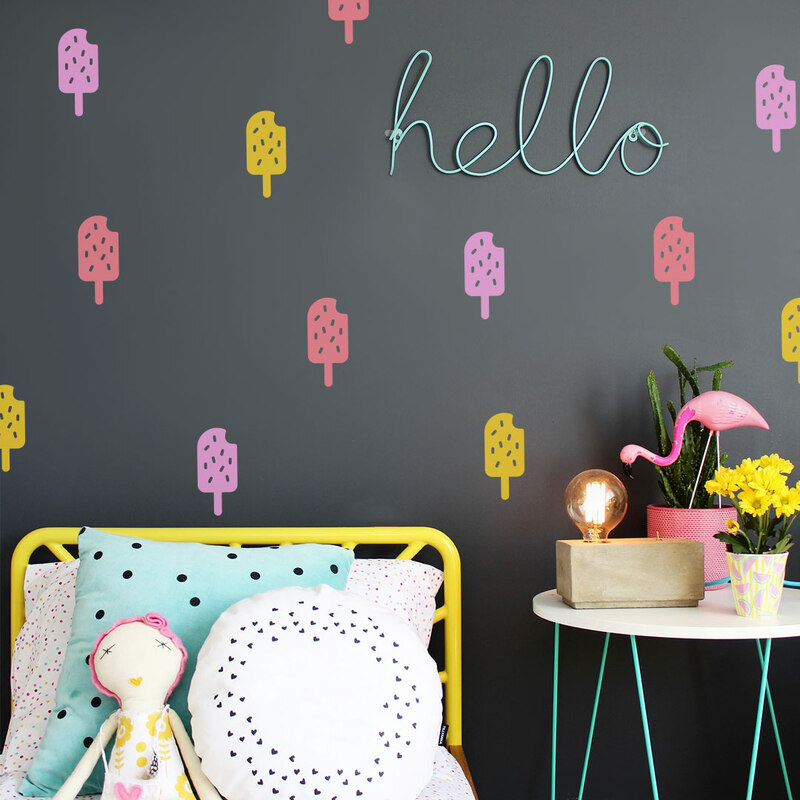 Even a boring and dull black wall can be spiced up with some exciting and colourful decal designs. Tell us what you did in your room to spice it up!